Have you heard? 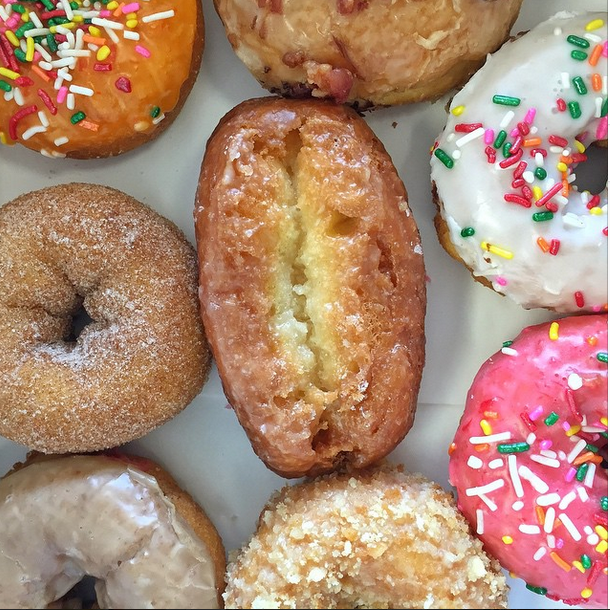 It’s one of the best days of the year – National Donut Day! Let’s celebrate with a dozen donuts, what do you say? 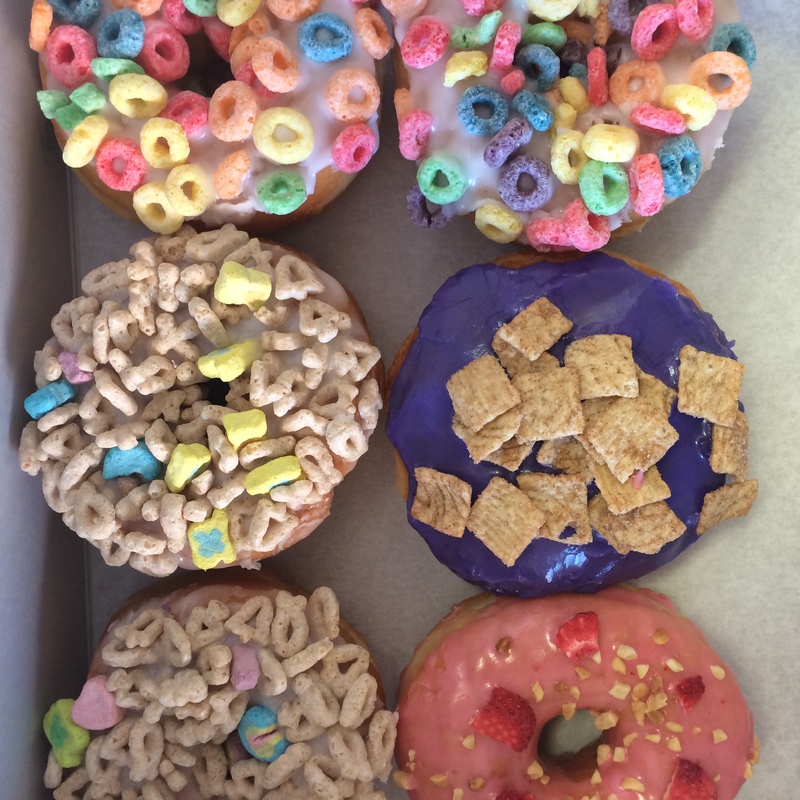 Here are a few of my favorite donuts in LA (in no particular sugar filled order). 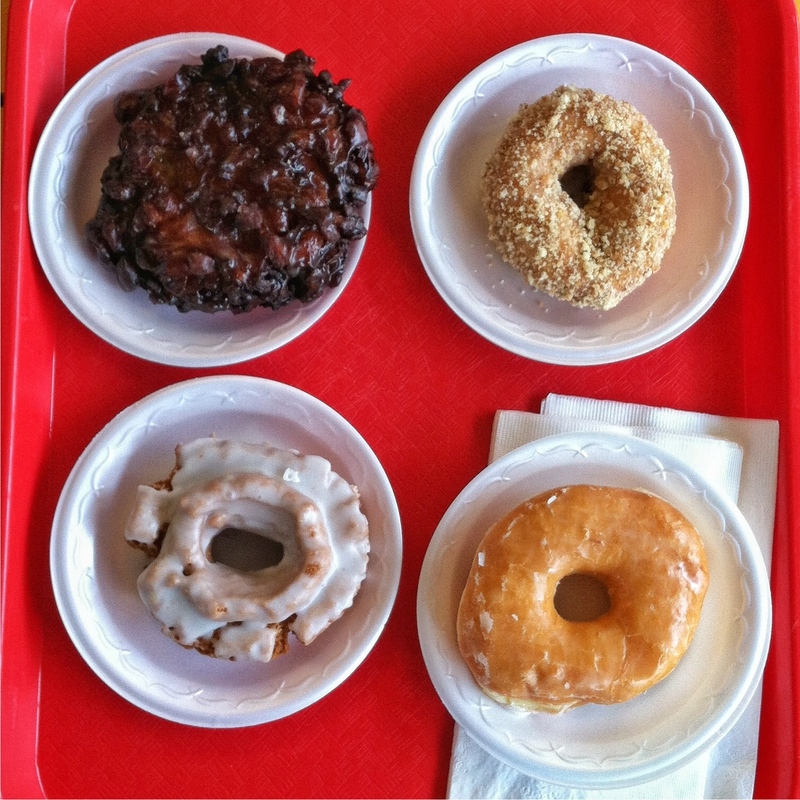 That mouth-watering picture above is from Primo’s, one of my favorite mom and pop donut shops in LA. They are located in West LA if that is your neighborhood or if you are passing through and they are definitely worth a stop. I think their buttermilk bar is the best buttermilk bar in LA! Maybe on of the best donuts I’ve ever eaten and certainly worth the drive to Costa Mesa (Santa Monica location please hurry up and open!). I love that you always get the donuts warm and fresh. The butter & salt and the vanilla bean glazed twist are in a tie for first place. There is no denying that these donuts are almost too cute to eat! They have fun, colorful cereal toppings or are shapped like pandas with oreo ears. Pro tip: you can advance special order custom letter donuts too! This is truly an LA staple. Located in the heart of the Original Farmers Market on Fairfax you can see regulars enjoying a coffee and donut as they probably have been for decades. 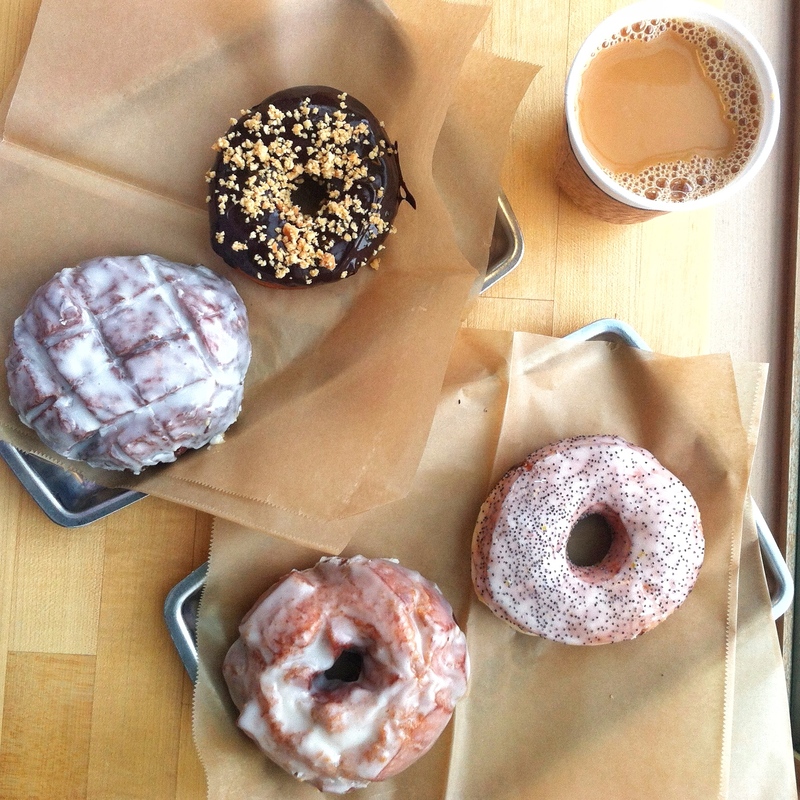 The maple bar and crumb cake are delightful! 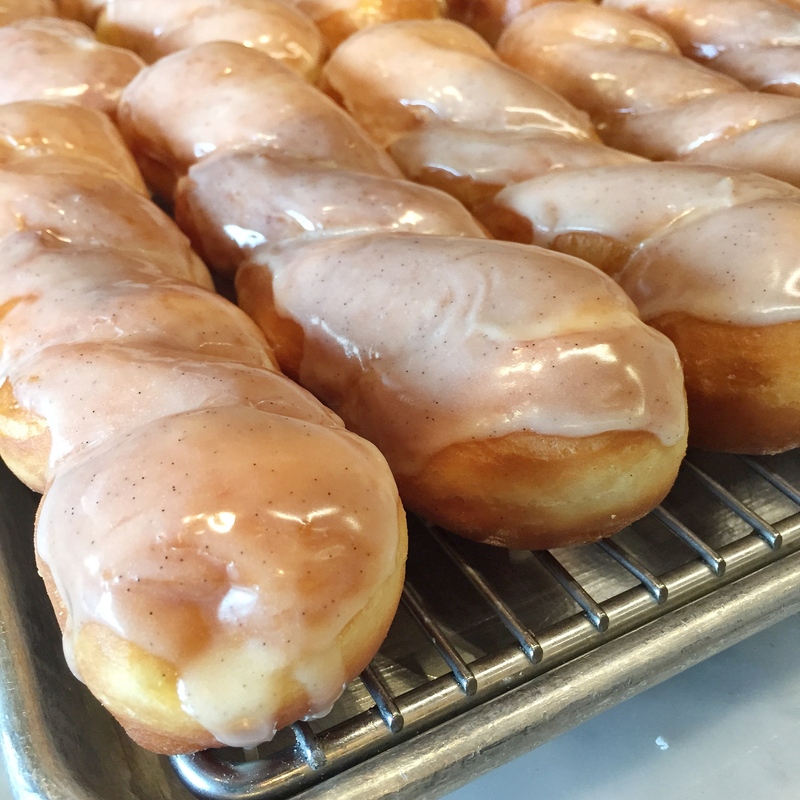 My Portland favorite donut shop is making it’s way to LA this summer and I couldn’t be happier! Their perfectly fried and fluffy donuts with fun flavors like Bourbon Blueberry Basil and Bananas Foster are sure to win over LA donut lovers.